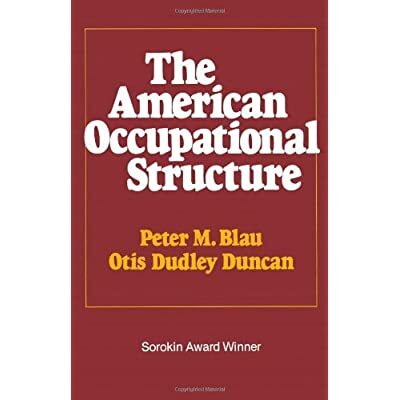 This book is the classic source of empirical information on the patterns of occupational achievement in American society. Based on an unusually comprehensive set of data, it is renowned for its pioneering methods of statistical analysis as well as for its far-reaching conclusions about social stratification and occupational mobility in the United States. The American Occupational Structure received the Sorokin Award of the American Sociological Association in recognition of its significant contribution to the social sciences.